Millions are searching every day for your business, we'll help them find you! In today's digital era, Google My Business has become the dominant forefront for business discovery and research. Let our Local SEO experts create a lasting impression for your business in your local and surrounding area(s) so when anybody is looking within your industry, you'll stand above the rest as the go-to option. Check out our local packages below and select what kind of increase in business you want. The more you promote your products and services on social media, the more profitable your business will become. Being visible will maximize your exposure for your products/services. Having your business rank in the TOP 10 in your local and surrounding area(s) will ensure your Company receives an increase in traffic. Bolster your business by being found in a TOP 10 priority position on Google Local. Being a TOP 10 business within a 2 KM radius on Google will give you an increase in business within your local and surrounding area. Having your business rank in the TOP 10 in your local and surrounding area(s) will ensure your Company receives an increase in traffic. Bolster your business by being found in a TOP 10 position on Google Local. Being a TOP 10 business within a 5 KM radius on Google will give you an increase in business within your local and surrounding area. Being a TOP 10 business within a 10 KM radius on Google will give you an increase in business within your local and surrounding area. Being a TOP 10 business within a 20 KM radius on Google will give you an increase in business within your local and surrounding area. Adding the Priority Plus guarantees your business will be in a Top 3 Position, on the front page, in your local area. Being in this position will increase your web exposure creating more traffic, with the potential for more sales and revenue. 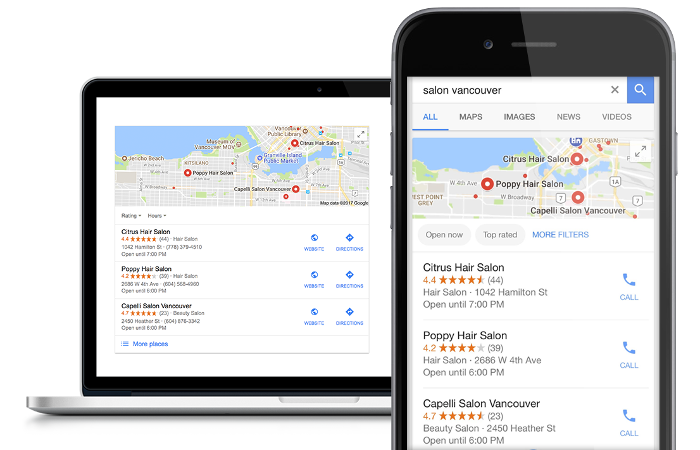 We offer a Google Ads Express Setup in conjunction with your Google My Business Listing Package to put you at the top of search results. We can get your business ranking quickly and efficiently with the Pay-Per-Click service, so you start receiving calls and website visits within a week from the verification date. Found the Directory Package you Want? Let us assist you and take it from here.